Walt first came to Marceline by train when he was five years old. The Santa Fe train arrived at the depot that preceded the present-day one, which was rebuilt in 1913. 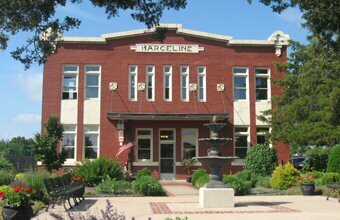 When Walt returned to Marceline for the first time in 1946, the depot evoked his first memories of pulling into Marceline. So it is fitting that the museum dedicated to one of the most influential persons of the last century is housed in this restored Santa Fe Depot. The Walt Disney Hometown museum is the recipient of a unique collection of family effects, never seen anywhere else in the world. Nine-hole golf course stretching over 80 acres with beautiful fairways, three ponds, and both men's and lady's tees. This course is one of the best nine-hole courses in the area. Pro shop is open from March 1-October 31. Green fees are $15 for an eighteen hole round of golf. Cart rental is also available.